A common struggle faced by enterprises is keeping up with technology as it evolves. This includes maintaining security standards so as to manage risk and reduce any impact an attack may have on business, however, this may not always be enough. This is where threat intelligence can help! Sometimes it’s easy to forget that businesses aren’t the only ones who take advantage of new developments and technologies, cybercriminals are innovating as well. Another troublesome aspect is that companies tend to focus solely on their compliance to specific regulations such as GDPR or HIPAA as opposed to developing complete and comprehensive security practices. That’s not to say that when paired with a security framework, compliance isn’t a solid starting point. 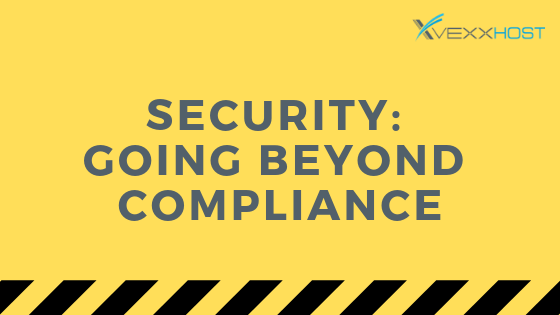 Compliance can also be used as an effective checklist for determining an approach to a specific security program. However, it’s important to remember that the concept of compliance regulations is based on a reaction to something that has already taken place and been documented. It is essentially a puzzle with a guaranteed solution that cybercriminals just have to solve; for businesses, it’s a puzzle they’ve solved many times over. For example, it isn’t uncommon to hear about compliant companies that have had their security breached. Identifying who the threat is, in addition to their methods and motives. Identifying what is needed in order to moderate the threats. Specifying the people, the process and the technology required for the mitigation of the threats. A key point to remember is that the cybercriminals that have set out to breach a company’s security are evolving in order to bypass the practices used for successful compliance audits. Therefore, arguably the most important information needed in order to effectively protect the company, is who and what they are protecting against. This is where threat intelligence enters. One of the mistakes often associated with threat intelligence is that the use begins and ends at ensuring it is actionable, whereas it can and should play a significantly larger role. When discussing the actionable aspect of threat intelligence, this more or less means that there should be an automated aspect to it within the tools or even that it should be used to provoke a cyber hunt mission. This is all well and good, however, threat intelligence can also indicate how cybercriminals are innovating and what technologies they are exploiting in order to do so. Additionally, threat intelligence can communicate to companies how the risk to their business may shift depending on the region or partnership they expand into. Without the ability to identify threats, companies will ultimately be unable to develop the appropriate defences against said threats. This aspect leads threat intelligence to not only be considered actionable, but foundational as well. The required degree of knowledge, technical ability and dedication to remain ahead of any cybercriminal attacks is admittedly and understandably challenging for any company’s internal IT team. Yet, compliance, while a valuable standard cannot be the only goal. This where a trusted provider like VEXXHOST can help alleviate some of the burden. As a part of our offering, VEXXHOST can provide consulting services as a means of not only helping companies optimize their performance but also helping them ensure the security of their cloud. Get in touch with VEXXHOST today to find out how we can help you!